Introducing the Email Design Workshop Blog! 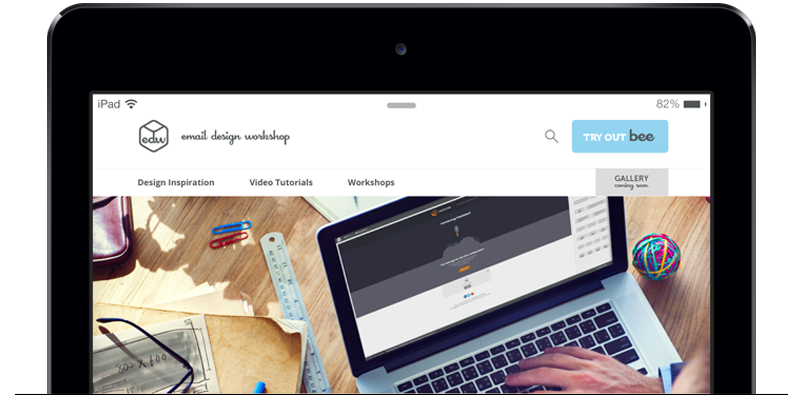 We present you the Email Design Workshop Blog, a new email marketing blog that covers email design tips with a twist: think of our blog posts and videos as actual workshops! If you’ve ever attended a workshop in-person, you know they’re practical, hands-on, and a place to learn together. That’s our vision for this blog. We’re bringing you email design tips in a much more practical, hands-on way… and in a way that you can apply and test our email design tips for yourself in the BEE email editor, a popular responsive and drag-n-drop email editor. If you haven’t heard of (or used) our BEE email editor, be sure to check our it out online and free to use at beefree.io; it’s worth a look! So, going back to our blog. We’ll try our best to provide you with practical email design tips that cater to any professional working in and around email, regardless of whether you’re a full-time email designer for a big brand, a design-savvy email marketer for a small company, or an entrepreneur creating your own emails on the fly (along with running every other aspect of your business, of course!). How can I get more people to click on the links in my emails? How can I apply design elements (such as fonts, colors, images, padding) more strategically in my emails? How can I optimize my emails for mobile devices? How can I create stronger calls-to-action? How can I use testing more effectively in my emails? Get inspired and learn a few tips every Tuesday! How important is inspiration for a designer? Short answer: very important! Being inspired means being more creative, and by being more creative you can come up with building better looking, and more importantly, better performing emails. That’s why we’ve come up with a weekly series called Email Design Inspiration with a new blog post every Tuesday. We’ll be showcasing an actual email that we’ve hand-picked from our inbox and provide you with a number of email design tips that you can apply and test yourself. On your part, let us know if our tips are helpful to you …and let us know if you’ve tested them out! Looking for inspiration? Check out our first Email Design Inspiration blog post! See how it’s done in our workshop every Friday! Learn how to build better emails and see how to apply our email design tips in our weekly Email Design Workshops series with a new blog post every Friday, showcasing the email we’ve covered in Tuesday’s Email Design Inspiration blog post. 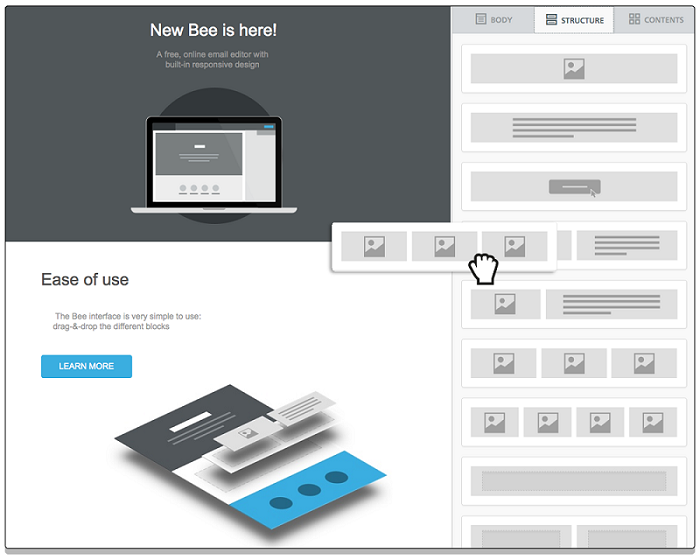 We’ll be going over how to recreate certain design elements (and even full emails) with the BEE email editor. Ready to get hands-on? Check out our first workshop! So, welcome to our new blog on email design! We’re glad you’re here and hope you’ll find our workshops useful. Follow and interact with us on Twitter with #emaildesignworkshop. Have a particular email in mind? Let us know in the comments below and we may showcase it in our Email Design Inspiration and Workshop series, which are every Tuesday and Friday!